just wanted document somewhere on the internet unprefixed object names in the Objective-C runtime that could potentially trip you up. I'm just talking about capitalized words, not C keywords, and I'm not talking about anything already given a namespace prefix like the NS* types. There are un-prefixed, capitalized type names lurking in the runtime. But surely one should always prefix one's own class names to ensure a clean namespace, right? Well, that's surely a safe practice, but not usually what coders do in their own private classes. If you are publishing your classes, say, in a public framework, then for sure make all the classes in their in a safe namespace-prefixed naming scheme, since Obj-C has a flat namespace. But in your own code, people usually just name objects without prefixes. Little of Apple's sample code prefixes. (I have a huge archive of such sample code that I had awk'd to check.) And few if any books do it when walking you through their example code. There's nothing wrong with not prefixing object names in one's own code, as long as you know what reserved names to step around, hence this entry. If you stick to the standard CamelCase convention for object names, you can basically treat the non-prefixed namespace as your own playground. With the following exceptions. Several of these names I could see someone wanting to use and being confused about why they were denied. Safest approach: Prefix all your object names. 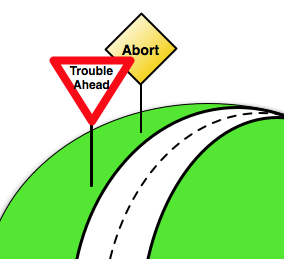 Regardless: Be aware of these namespace collision possibilities (i.e., the above chart). Other such types I should be aware of? Differences between iOS and OSX?